The United States may be the center of the ball manufacturing business, but an event on the other side of the pond made waves in early 2015. The German Golf Association, the umbrella organization representing over 800 golf clubs in the country and responsible for league competition among German amateur golfers, is an important organization for ball manufacturers and had an official golf ball sponsorship deal with a big brand. That is until the Association shockingly announced that it would have a new ball sponsor for 2015 and 2016. Instead, it would be…Vice Golf? A three-year-old company that only sold golf balls online? 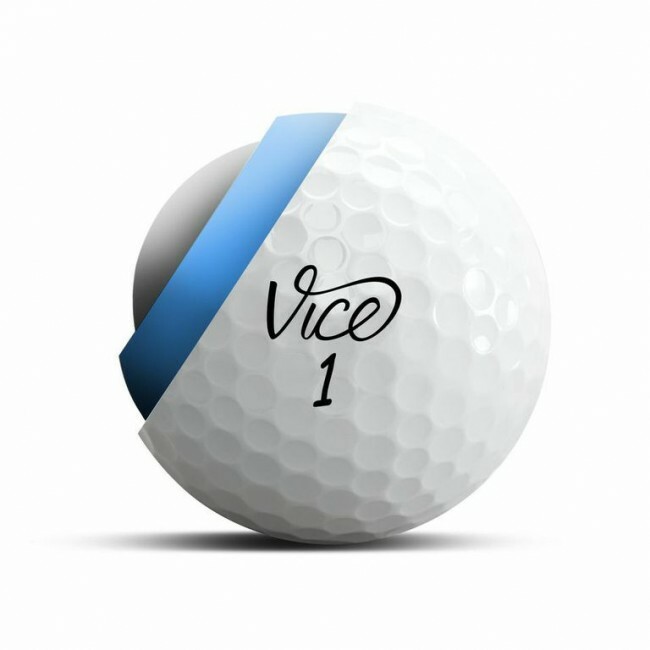 Vice Golf remains on as the Association’s official ball sponsor through 2016. And it’s the latest win for a company that has made in roads quickly in the golf ball manufacturing world in a unique way. The financial investment in golf can add up quickly, and it doesn’t help when your local pro shop or sporting goods store sells golf balls, an essential part to the sport, at $50-60 a dozen. Vice Golf, based out of Germany, has stepped in to bring complexity to the market, adding a new model into the old, establishment golf ball manufacturing business. The company, founded by Duellmann and Rainer Stoeckl in 2012, sells golf balls through its website vicegolf.com. Consumers buy the company’s balls online and the goods are shipped directly to them, so Vice avoids dealing with the middlemen that characterize the rest of the business. The Point A to Point B structure means no price markups, and thus a cheaper ball that Vice markets as having the same quality as the big brands. While the balls from these giants will sell for the $50-60 per dozen after the middlemen raise prices at each point of the process, a dozen Vice Pro balls can be bought for $34.95 directly on the company’s website, and the price drops to $24.95 per dozen if a consumer buys 60 Vice Pro balls at once. A set of Vice Pro balls in regular and Neon. The Vice Tour model sells for $21.95 per dozen and $15.95 per dozen at a 60-ball purchase. The Vice Drive model starts at $14.95 per dozen and drops to a $10.95 per dozen price tag at 60 balls. Stoeckl and Duellmann said that they try to keep their prices 40-50 percent below the big brands while keeping the ball of the same quality. This has resulted in steady growth. Vice Golf increased 100 percent in sales in 2013 and jumped up 167 percent from that number in 2014. The staff nearly quadrupled in full time employees in that span, and customer satisfaction is high. Stoeckl and Duellmann said that others are taking notice of their new movement in the golf ball manufacturing market, the nix-the-middle-man-and-pro-shop model, even if these other guys can’t feasibly join in. Stoeckl and Duellmann met over a decade ago while studying law at the university level. Both would become lawyers. Duellmann worked for a sports company and dealt with business development in U.S. and Asian markets, while Stoeckl was in a business consultancy company where he did many projects in sports. Stoeckl had serious contact with manufacturers, and on one project in particular, he saw the cost structure of golf ball pricing. Despite the steady jobs, their immersion in golf was growing and by 2010, they were hearing consistently from family and friends the complaints over exorbitant prices around golf balls. With that impetus and their interest in golf, Duellmann and Stoeckl started looking into ways to get into the golf ball manufacturing business on a direct-to-customer basis. The duo started part time in their garage and hunkered down from there. It took them about a year and a half from the conception of the company to when they sold their first batch of balls, a 50,000-unit set. To get to that point, they worked with testing labs in San Diego and Germany and collaborated with engineers at a technical university in Munich. They went through hundreds of prototypes to get to the quality of ball they were looking for. 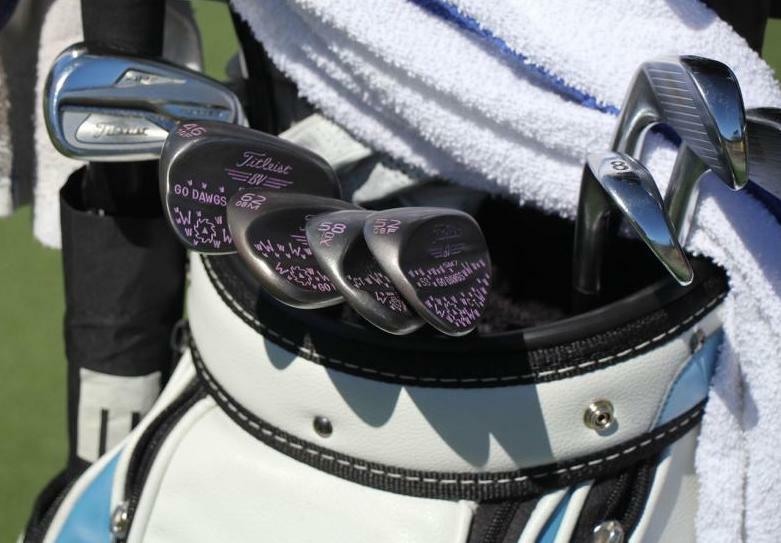 In the end, they came out with three models in the Vice Pro, Vice Tour and Vice Drive. The three-piece Vice Tour golf ball. Stoeckl and Duellman compare the Pro to the Titleist’s Pro V1, saying that the ball is a three-piece model that is most useful for low handicappers and pros who want a ball that stops quickly and generates max spin in the short game. The Pro comes in several versions, including the Pro Neon, Pro Shooter and Pro Flamingo, each offering a different color ball. The Tour model is generally for single digit to mid-handicappers who want a three-piece ball that rolls more. 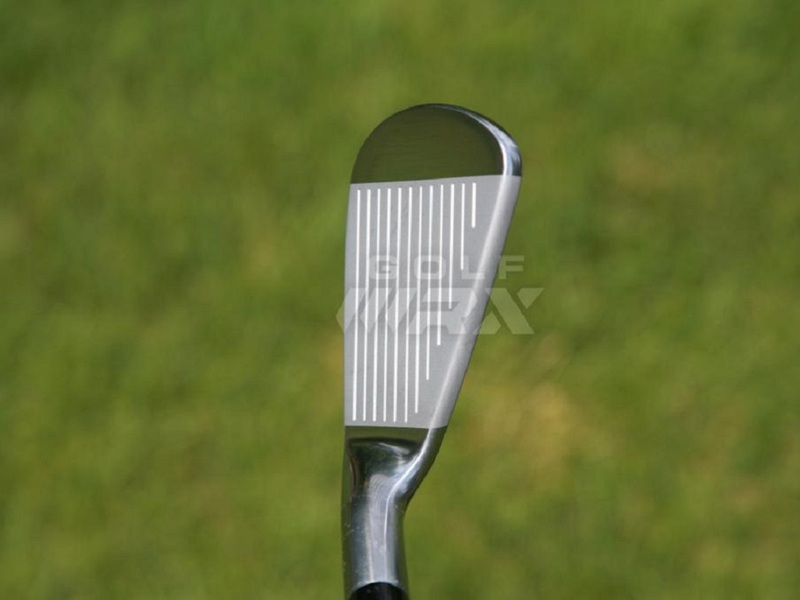 The Drive two-piece ball usually works best for high handicappers who want a lot of roll and a more durable ball. And Vice Golf will unveil a fourth model in April 2015: the Pro+. Stoeckl said that they came out with the Pro+ because customers wanted the feel of the Pro model but with less spin and a lower trajectory on drives. And that’s another perk of the way Vice Golf does things as opposed to the establishment methods: They only report to the customers. Part of the business model of the biggest golf ball brands is get tour players to use, and thus advertising, their balls. And dependence on selling balls in pro shops means a greater need for more frequent updated models, so that pro shops will clear their old stock to buy newer and (sometimes barely changed) versions of the same ball. Vice Golf has neither of those worries. They hear from customers and have gotten positive feedback from some professionals who have used their golf balls. The company currently has a few professionals who play their balls, namely Camilo Sprinz and David Gerszstein of Europe’s Challenge Tour (the equivalent of the Web.com Tour circuit). But they have no official sponsorships with players, as they pride themselves on not spending that money. Vice Golf does have some business in pro shops, but not in the traditional way. These direct-to-pro shop sales account for less than 10 percent of Vice’s business, and the lack of sales reps means no extra costs and speaks to the lack of dependence Vice has on pro shops for revenue. As Vice lacks these significant expenditures, they’ve been able expand their business. The company mainly sold its balls first in Germany than in the rest of Europe for the first years of its existence, but added Australia to the mix last year and the massive United States market in 2015 due to high demand in those places. Vice’s website promises 2-to-3 day shipping, and Stoeckl and Duellmann say they can indeed do so to any place in the world besides China, thanks to the logistics facilities they set up in Australia and Buffalo, New York when they incorporated these new markets. 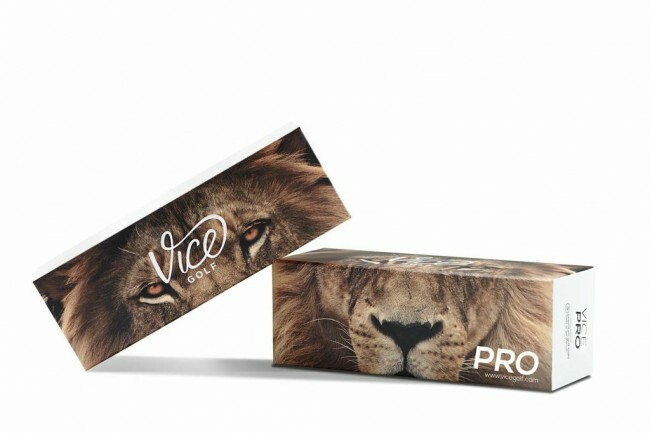 In addition to new markets, Vice offers more than just normal golf balls. Based off consumer feedback, Stoeckl and Duellmann implemented a customization feature to their golf balls a year into the business. The customization on the golf balls can be wide ranging, from company logos to photos of birthdays and group trips to humorous printed phrases like “You found this ball, bring it back to the clubhouse,” and even a depiction of a pixelated naked girl (seriously). There are limits (nothing crude and no trademarked properties), but Vice has cast a wide net on customization and now see 50 percent of its golf ball sales come from this department. The key has been minimal extra cost and inconvenience, and a simple process to add your customization. 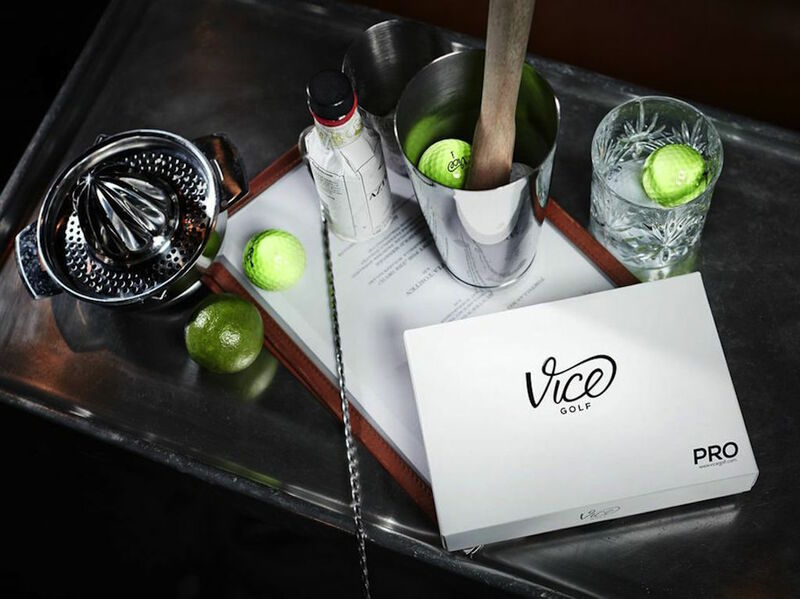 Vice isn’t done there either, with the release of a golf glove called Vice Golf Pure to come this year. The company also sells golf caps, and has found great success in their limited edition offerings. It started at the major championships last year, and the special caps sold out within hours. Later, they released a limited-edition camo Ryder Cup cap, where a closer look showed the camp to actually be an outline of the Gleneagles layout. Those hats sold out in minutes. Stoeckl and Duellman said they plan to offer new versions of the major championship limited edition caps in 2015, with their release dates the weekend ahead of the each of the four tournaments. The hat side of the business actually has less to do with money, than with branding. 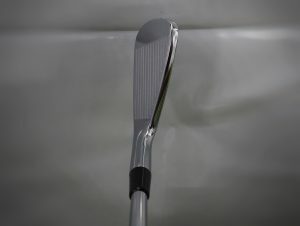 Vice has increased in recent years, as has general awareness for the company in the golf ball business. But without the big name of “Titleist” or “Callaway,” Vice’s golf balls still face speculation even as the market share grows. Ultimately, Vice has found its niche in the market and while it anticipates more growth and represents an alternative to the big brand model of business, the goal isn’t to challenge the Titleists of this world. That being said, Stoeckl and Duellmann do expect pro shops to focus in future years more on helping people finding equipment, and thus less on golf ball sales. Does this mean Vice Golf is ahead of the game? Maybe or maybe not. But watchers of the golf ball category are taking notice. Played the first round with my new Vice Pro Soft – White yesterday. Previously played with Titleist Velocity and anything else that I found on the course. I’ve been playing reasonably well as of late, (shooting in low to mid 80’s) so I decided to see if a properly suited ball would give me a chance to break 80, something I haven’t done for three seasons. Here are the results. I’m 64 years old and don’t hit the ball like I used to. These days, a 230 yard drive is about the best I can do. My club has two 18’s and I know pretty much every blade of grass, so when my ball was landing well beyond my normal off the tee location, I knew something was up. The ball has a piercing ball flight and my slight fade was gone. To be honest, I really didn’t notice a difference in the sound or feel, but that might have been due to me being preoccupied with admiring my drives. On the day, I hit 7 drives that were 240+ and one on #18 that was 250. A modest breeze helped on that one, but still, I couldn’t get the smile off my face until I left my eventual six foot birdie putt a full foot short. Now here’s an interesting note. One of my playing partners is a long ball hitter. He can approach 300 when he’s on his game. I gave him one of my Vice Pro Softs to try on a few holes. He was 10-15 yards shorter than his norm and tossed the ball back to me, so it’s not for everyone. I think he would be better suited to the Pro or Pro Plus, given his swing speed, but for me, the ball was simply awesome off the tee. I didn’t notice any distance gain, however, the ball did fly higher than my iron shots usually do and landed very softly on the greens. Maybe I was just swinging well, but I hit a lot of greens in regulation. The confidence I had over the ball had much to do with it, I’m certain. Oh, again, perhaps this was just me, or maybe the clear skies, but I found that I could see the ball very clearly in the air. One of my playing partners made comment on this, too. I didn’t have many wedge shots on the day, but the few I had, felt great. A couple of hops and it stopped dead. 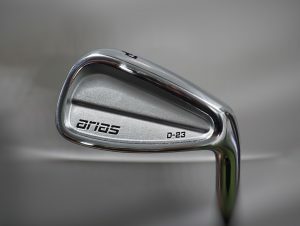 I think with a bit more experience with my wedges, I will improve distance control. I left a few shots short as I have been used to more roll out. Didn’t notice much difference from what I’ve been used to. I wasn’t putting particularly well, but that wasn’t the ball’s fault. This is the part of my review I’ve been waiting to reveal. I shot a 37/39 for a 76. Best round of golf I’ve enjoyed in years. How much did the Vice Pro Soft contribute to it? Who knows. Could I have achieved the same score with another better suited ball to my game? Maybe. Probably. What I do know is that it’s been a long time since I’ve been this anxious to get back out there to play another round. The people complaining about shipping probably didn’t check the website to see the flat rate shipping. I think 6.50 whether you order 1 dozen or 10 dozen balls. I ordered the ‘Selected’ package from Vice and they were promptly delivered in less than a week, not bad considering I am in regional NSW. I have only played 9 holes with them but so far am very impressed. I played two balls, the Pro Plus and the Drive, on each hole. 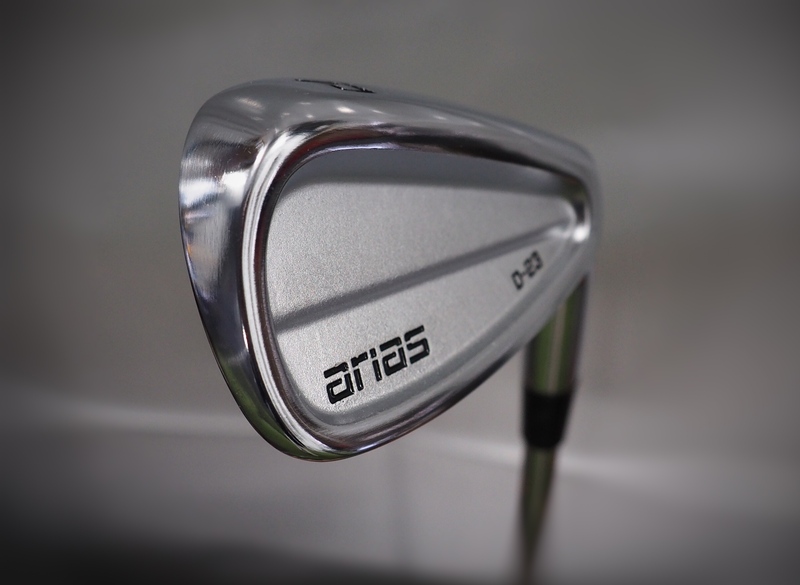 I thought the Drive would suit my game better as they are designed for slower clubhead speed. Maybe my clubhead speed has improved because I got better distance, and accuracy, off the tee with the Pro Plus. I am a 15 – 18 handicap player but really enjoyed hitting both of these balls, especially the Pro Plus. Normally, I get between 180m and 210m with the Driver but today didn’t hit anything less than 205m and scorched a 245m down the middle.I seemed to get a higher trajectory than my typically low, piercing trajectory up until now. I know golf ball preference can be a very personal thing but I love the ‘feel’ of these and the results I got today were great. I am yet to try the Pro and the Tour but am super impressed with the Pro Plus and Drive. I will be ordering more balls from Vice and I like the personalisation options. And that’s it. The only time I imagine I’ll ever use the description Legit again. But that’s what this story is. Legit. Get a sleeve of Vice Pros and I’m golfing with extra money in my pocket. Kevin has done a great job highlighting the important aspects of the Vice Golf business in this piece. 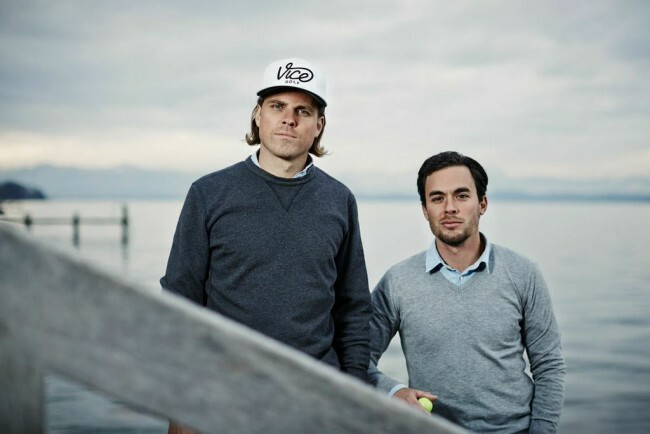 It’s a vital angle to the Vice Golf story, and understanding what company founders Ingo and Rainer have in mind with the direct-to-consumer approach is pivotal in understanding the company. That said, Vice Golf make stunning product, and their fashion and design approach encompasses the whole buying experience – from purchasing their golf balls online to receiving and opening the beautifully designed sleeves of golf balls. Cheaper? £32 for a dozen?? hey, i’m Ivan from Germany, so please excuse if there are mistakes in my posting. My handicap is 15 and I play the VICE Pro Balls in lime green now one year. I’m a big fan of these balls. In my opinion the VICE Pro is better than the NXT Tour and comes very close to the quality of the V1. And this to the half of the price…. The balls are in packages with nice details and grafics. When you open it, it’s a feeling like when you get a new iPhone. I don’t think other people are into your bad habits. I don’t see anything different that these guys are doing than any other company that clones golf balls and golf clubs. If they hadn’t said compare to ‘Pro V’s’, then I most likely wouldn’t think that way. But, that’s exactly what the equate brands do. They let the OEM’s spend the big bucks to advertise. The equate brands put their brand on the shelves and say compare to…OEM brand ingredients and/or results, etc. I’m always trying different golf balls that are in my price range that perform well because the High End OEM’s are out of my price range. If these clones were on the shelf at around 20 bucks per box, I’d buy a box to see if they compare to the real thing. I’m not saying that what these guys are doing is good or bad. I’m just saying that it is what it is, …..cloning. Capitalizing on what someone has already designed and advertised. I don’t know why everyone is knocking a golf ball manufacturer that is trying to to upset the status quo in the golf world. What;s it gonna hurt to give them a try besides, having to admit to yourself you might actually like something a little more than your vaunted Pro-V balls. Lay off the kool-aid for a bit and try something new. 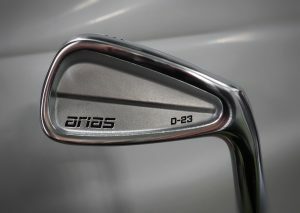 I’d like to see GolfWRX test these. It would be very interesting to see the results. Yeah, having a special web site for the US and don’t ship? Top right of their site … “Shipping in the US”. That was difficult. Vice is sick. Their style and design is out of this world. Way less stuffy and way more interesting than Titleist. how is this guy still allowed to write articles for WRX? Honestly, everything he has put on here is either super negative I.E. the Dustin Johnson article or Jimmy Walker article, or just flat out wrong. Brooks Koepka sure is struggling this year isn’t he? I give those boys credit for funding new golf ball company but I am afraid their choice of name failed baddly from the start and still continues. I associate Flake with a chocolate bar and Vice is just horrid. I rather buy 4 dozens V1s (for the price of 3) then 5 dozens vice pro for the season. I find Vice/Flake balls regularly on my course and the Pro or tour ball are nothing comparing to Titleist V1 and NXT which I normally play. Recently I found funny slogan next to Titleist balls in a golf shop: “Those with Vice come generally second to the Winner”. Their market is mid to high handicappers – indipendent of ball. 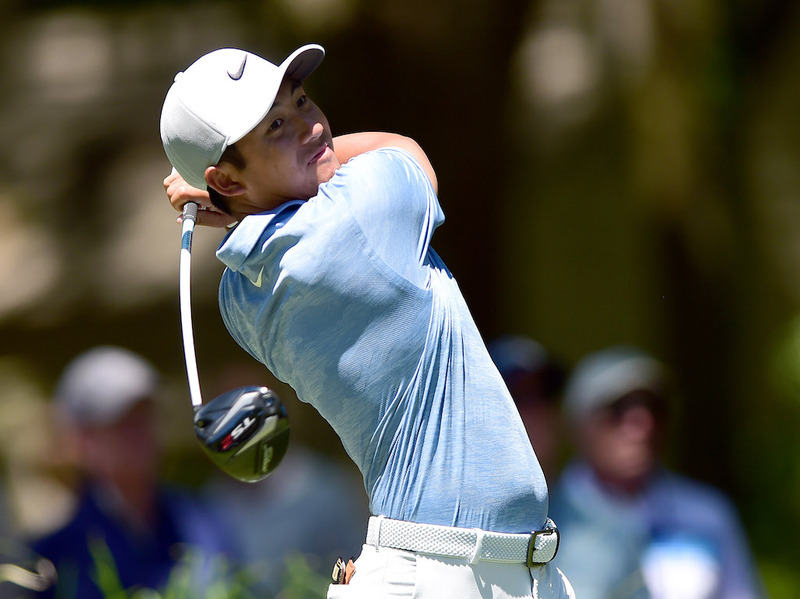 Serious or tour player would not fame those with confidence. Yeah no pro would ever play something so silly, like a Tear Drop putter or the Knife or a cheap ball like a Top-Flite or a Lynx club. Yeah no pro would ever do that. those pros are usually paid for this endorsement very generously. Those companies you mentioned had some good technology that were maybe ahead of its tine but thise companies also almost disappeared in the 90s or lost market share significantly. I don’t see Top-Flite balls anymore in any recent reviews for instance. Lets see if Vice are still kicking about in 2030 – guess we all will live until then. Yeah cause only Titleist spends the money they earn from the customers to give them to overpaid pro’s. Please just go play golf and don’t think about golf business. you see any tour pro playing These? If you’re spondered by Titleist or any of the other major brands, you’re going to play their equipment, including balls. They’re not going to play Vice when they get their balls free. Also agree that “Vice” is a bad name. I am still not sure why I hear in golf ball articles that high handicappers need a durable golf ball at all. I regularly shoot in the low 80s and high 70s and I still lose a ball every round. I think my record is 18 holes with one ball ( I also have a net in my garage and I wreck a ball a month, which is over 2000 hits per ball) Dont high handicappers need a ball that spins less offline? And goes farther? I assumed durability is only important to driving ranges and golf performance centers. Isn’t this the same business model as MasterGrip (now just MG) Golf Company? For 30+ years. I’ve never seen their products in retail locations and I’ve been buying from them since before the internet. I would get their printed catalogs in the mail (and still do) and order directly from them. Currently things are the same, except they now also have a website site to buy from them directly. My guess is someone at the German Golf Association has a financial interest in Vice golf. And lets be real what golf store is selling other high end balls for $50 or more a dozen, none that I buy from! It’s sort of half-accurate. Retail stores are going to sell for the usual prices in the 40’s, topping out around $48 (I think) for the ProV1. However at plenty of golf club/course pro shops you’ll find the same ball priced into the 50’s or 60’s. 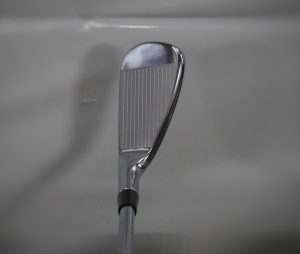 I’ve wrongly long held in contempt the hackers who support the golf industry by trying to buy a game with “overpriced” equipment because I didn’t realize they’re actually supporting my “don’t put a ten dollar haircut on a ten cent head” golf. I can “afford” Pro V1s, and I think they “feel” better, but my ball is the least of my problems. I still cringe a little when I hook one of my “winter” balls into the woods, and I have ~500 of ’em. I blame it on Depression-era grandparents. direct to consumer model that cuts out the middle man mark ups. what a novel idea for the golf industry. Thanks for writing this! 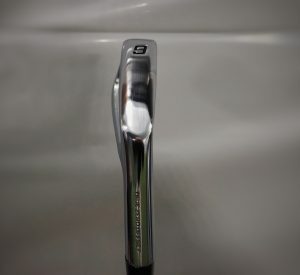 I’ve been playing the ProV1 for some time, but not a fan of the price. Are there any tests or reviews out there of these balls? I didn’t see anything about them on the forums. The Vice guys told me that they’ve had the balls independently tested to ensure high quality of product. As for reviews, I don’t know if there are any in the forums here but Vice has a section on their website where they put all the media coverage of them. There are some reviews there. Hope that helps! Wait, the company told you they were independently tested and performed as well as the leading ball in the market for the last 15 years, but didn’t show you any data? I’m sold!!! Can’t wait to order these at more $$/doz after shipping than Pro V’s!!!! Send me a set of balls for $12 to cover the shipping and handling and I will be happy to play them along side my used Internet AAAA Pro V1x balls this season and give them a very fair review. Check out IGolfReviews it shows Spin rate,Speed,Launch Angle,Distance and on wedges roll out.Ive checked a few reviews because I was interested in trying a sample pack which comes with a box of all their balls.